Just another way to say Thank You- I am very happy about delivering this custom made sign to a beautiful family that just made a successful move in Oxnard CA. The custom sign was made by a local talented couple. They are involved in local businesses. It is a symbol and reminder of persistence that pays off for all- a dream come true. It is very rewarding to help families make such important moves in their lives and to be able, at the same time, contribute to the development of local small business that support such efforts. I am also very grateful for Mr. Salazar's generous testimonial. He is a very hardworking man that cares about the well being of his family. Through his experience he hopes to motivate other families to do the same. Estoy muy contento y agradecido con el señor Salazar por su testimonio. Me siento muy contento de haber participado en lograr su sueño de comprar una casa. Le deseo a el y a su familia mucha felicidad y prosperidad en su nueva casa. This property was SOLD by David Tovar of Exit Castillo Realty. Listing courtesy of RE/MAX Gold Coast REALTORS. 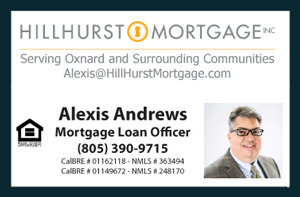 For similar results please contact David at (805) 444-6366.